I've been extremely lame at updating this blog lately, due to a combination of work and family. As such, I'm temporarily mothballing the site for a while - I'll still be checking and replying to comments, but won't be posting regularly. If you're interested in what I'm up to, I update Twitter most days and there's a Guardian profile page for me too. Sad news this morning. One of London's two main electric car deals, NICE Car Company, has gone into administration. That's disappointing for three reasons. Just this week the Committee on Climate Change said electric cars were one of our main hopes for meeting UK emissions targets, NICE's Mega City (pictured) was one of the best cars available in the UK today -- better than the G-Wiz in some respects -- and the company was also on the verge of launching three exciting electric cars including the Ze-O, the UK's first electric family car. I met the team at NICE several times and they were a good bunch, with business heads as well as green vision. The Newride website speculates on some of the reasons behind the company's downfall, including Ken Livingstone's proposed Congestion Charge exemption for low carbon diesel and petrol cars which, ironically, never materialised because of Boris. It's looking like autumn 08 was the launch window for every green community on the planet. Britain Unplugged is the latest, brought you by the folk at the government-funded Energy Saving Trust. Hot on the virtual heels of eco community ooffoo comes Greenwala. Launched yesterday, it's a US social networking site with classifieds, a blog and a shamelessly Facebook-style news-feed. Do we need this many green networking sites? Does Greenwala look worth a punt? Over to you. Carbon emissions from coal power stations could be transformed into a green biofuel, German power firm RWE AG reckons. The company said today that it's started using flue gas from a coal power plant to 'fee d' algae and produce algae waste that could, one day, be used as biofuel. Algae at the "Coal Innovation Centre" in Nideraussem, Germany, basically uses photosynthesis to process CO2 into algae waste. That waste could then potentially be used as future fuel. In other words, it's an embyronic form of carbon capture and storage. The project's taking place in partnership with Jacobs University and the Juelich Research Centre. I've asked the RWE AG press office for more details.07/11 update: no word back from RWE yet, but Jacobs Uni has just posted further info here. Online eco shop Natural Collection wants you to hang out with like-minded green people on its new community site, ooffoo. 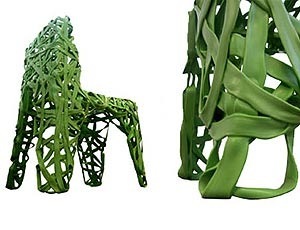 Launched today, the name comes from the web hex value for the colour green. Well, kinda. Strictly speaking 00ff00 is the value for green, but someone's already got that URL and it's not as easy to pronounce as 'ooo-fu'. So ooffoo it is. The site lets you post ads and blog posts, swap and sell products, plus it has a competition to win £500. I like the principle behind the site, but right now it's lacking a killer app. Still, it's early days, and any community site takes time to grow. Fortunately, Natural Collection has a lotta genuine fans. For proof, just look at the way it's always won the reader-voted category in the Observer Ethical Awards. Is Trevor Baylis' wind-up MP3 player a genuine iPod rival or a chocolate teapot? Read my review in the Guardian today to find out. If you own one, I'd love to hear your verdict in the comments. It's my pleasure this week to play host to the one, the only, Carnival of the Green. Never heard of the Carnival? It's a great travelling circus of eco stories that hops between green blogs. Last week it landed at Neighbourhoods.org (a blog encouraging walking), this week it's here on thegreenguy, and next week it zooms off to Confessions of a Closet Environmentalist ("a struggle against the Greenwash Sea"). So, without further ado, here are this week's top posts from around the green blogosphere. The Indy's eco columnist Donnachadh McCarthy has launched a 'national day' for us all to measure our carbon footprints. It takes place on 2 October -- check out the official site for details. Green is no longer cool, say The Times and Treehugger. I've written a short rant for MSN Environment on why I disagree. What do you think? Is green still hot, or not? Amazon's just launched an eco products store dubbed Amazon Green, Lifehacker reports. A quick look suggests it's mostly a portal to Amazon's existing products, such as bicycles and reusable bottles including the one pictured here. Right now, there's no UK version, which is probably good news for established UK indy ecotailers such as Natural Collection, Ethical Superstore and Ecotopia. I'll keep you posted if I hear whispers of a launch this side of the Atlantic. My friends Laura Burgess of Eco Escape fame and Ed Gillespie at Futerra have launched a mini manifesto on greener travel. Check it out over here. Who's the carbon culprit in *your* family? In my family, it's gotta be my parents for their short haul holidays several times a year. But it varies from family to family, as I found in an article I've written for this month's House Beautiful magazine -- it features an energy-guzzling daughter, a Dad uninspired by going green and a home-working Mum who just can't do without the heat up. The mag's out now (August issue) and asks why some family members have clown-sized carbon footprints. So -- who's the culprit in your family, and why? 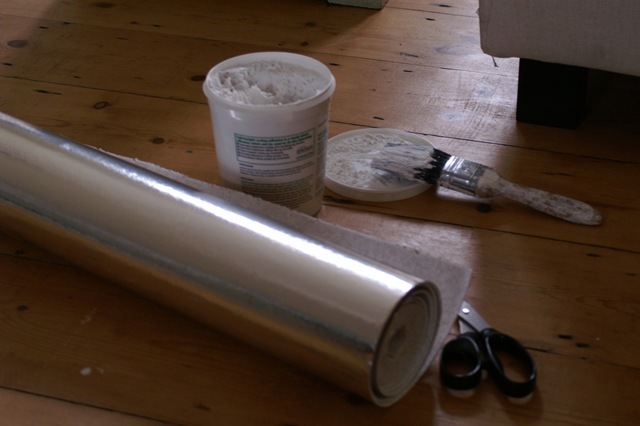 It's hard to open a weekend newspaper or Stumble across the web without coming across eco tips. Fit a Hippo! Compost your food! Seal your draughts! goes the advice. Even though they're relatively simple though, just seeing these tips in text can be off-putting, so -- in the spirit of a picture telling a thousand words and a video telling a gazillion words -- I've started a series of 'Smart Tip' videos over on my day-job site, SmartPlanet. They're not strictly how-to vids (you may still need instruction manuals) but they do show you how easy basic green steps are. My favourite is this one on ensuring your compost doesn't get stinky. Eco blog Lifegoggles is running a monster giveaway of 69 different prizes, all with an eco twist. As well as a vouchers, you can win prizes from a monster array of UK and US ecotailers, including fair trade footballs, organic beauty gift boxes and a whole stack of green books. The list was so long it made my eyes spin. Well worth a look. It's not often I grovel to the blogging platform I use, but I'd like to extend a public and belated thank you to Typepad for featuring me last week. I was so busy with launching SmartPlanet (my day job), that I entirely missed being Typepad's featured site of the day. A disclaimer first: this is a shameless self-promotion post. 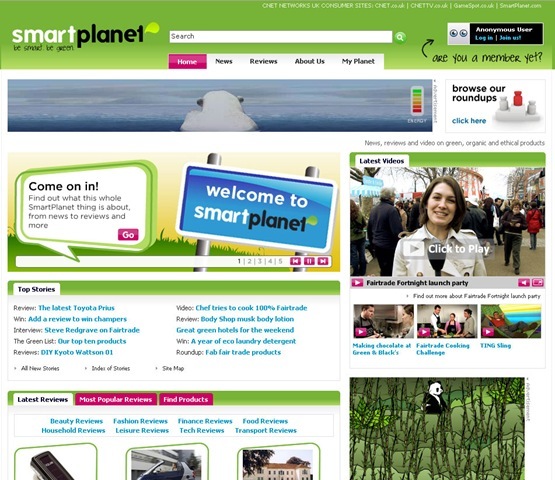 Yesterday myself and the team over at CNET Networks UK formally launched SmartPlanet (you can get the offical press release here). The basic gist is news and reviews of anything green or ethical. Plus a bit of humour. And a lot of research. If you've ever wondered whether an energy-saving gadget, organic beauty product or so-called green car are as good as the hype proclaims, the site should be up your street. In a personal capacity, I'm going to find it really useful, since a lot of these 'conscientious' products are only available online and you're basically buying blind when shopping at ecotailers. One of the ideas behind SmartPlanet is too take the guesswork out of that, as we'll have checked out the eco and ethical creds, done our research and actually sampled or tested the product hands-on. Like any site, it's a work in progress -- so please let me know what you love or hate in the comments. I know everyone says it, but I'd genuinely like as much feedback as possible. 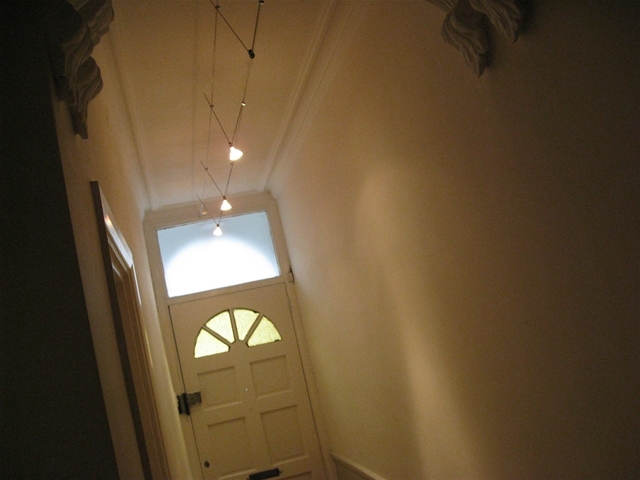 Meet my hallway. This photo shows how we inherited it a year ago, replete with four typical IKEA halogen bulbs, each sucking up 80W every time I came home. While I swapped out the rest of the house's lighting for low energy alternatives, I procrastinated with these ones because they have those pointy MR16 fittings and I couldn't find any compatible mini-sized CFLs (what we all tend to call energy-saving bulbs). I then had a look for the other green alternative: LEDs. After some laborious searching, I ended up ordering some £4.49 ones from the ever-useful energy-saving site, REUK. 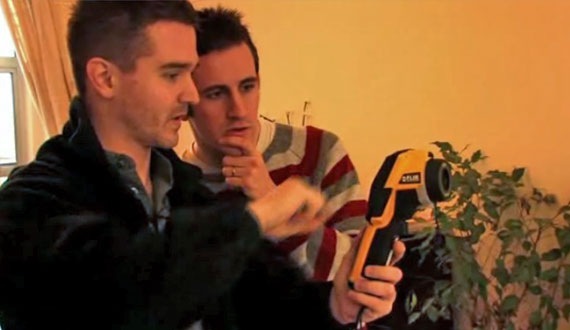 That's me on the right, learning how infrared thermal cameras work as part of an eco audit at my house. Lex on the left is from Green Homes Concierge, a new service that the Mayor of London's offering for £200 to help you green up your home. Click on on over to SmartPlanet to watch the vid and see what your two 'centuries' of cash get you. Chairs made from milk bottles (left), sustainable wood tables designed by Terence Conran and hammocks made from rejected seatbelts -- these are some of the weird and wonderful green furniture pieces I've picked for the Guardian today. I'd be interested to hear what eco furniture you recommend, too. Just hit the comments below. If you're looking for green alternatives to trad Christmas presents, head on over to SmartPlanet. Today Rikke's got some suggestions for an eco alternative to the weekend away, including a trip on the slick new carbon neutral Eurostar to Paris. Every day until December 25th, the site'll feature mighty fine ethical alternatives to trad Xmas pressies, from socks to smelly box sets. Yep, the UK Green Party votes are in, with 73 per cent voting to ditch its odd 'non-hierarchical' principle speakers system in favour of the one used by everyone else - a single leader plus a deputy. As a lapsed member, I'm glad the party's seen sense on this. The media doesn't want to get its head round an alternative leadership system, but it will happily give column- and blog-space to a charismatic single leader. Full details of the voting after the click-through. As well as such hedonistic pursuits as insulating the loft, I've recently being going wild with other draught-bashing and heat-saving tricks. Here's the verdict on radiator foil (to keep the heat in) and thermostatic valves (to keep the heat from getting excessive). Greenies, trainspotters and business types may be interested to read Rikke Bruntse-Dahl's live report from the first maiden St Pancras Eurostar journey - she's just posted a live report over on SmartPlanet. 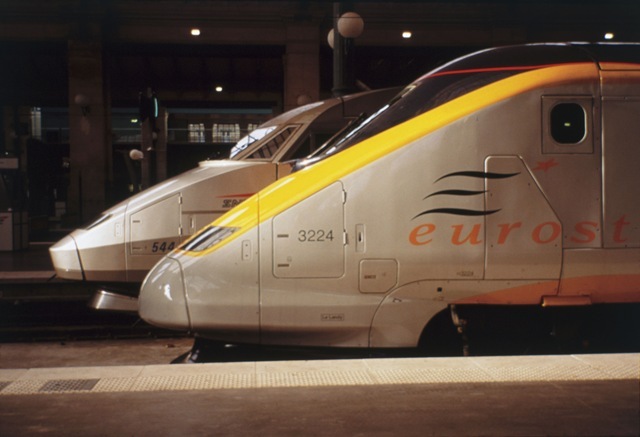 Photo credit: Eurostar. Blokes, we finally have an answer to Green Girls Global. 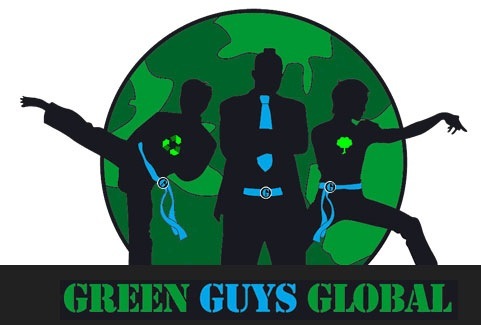 In a stunning piece of man literalism, it's dubbed Green Guys Global. So far, there's a chance to win a copy of John Grant's book on green marketing, plus a heads-up on the WWF's climate bill campaign. 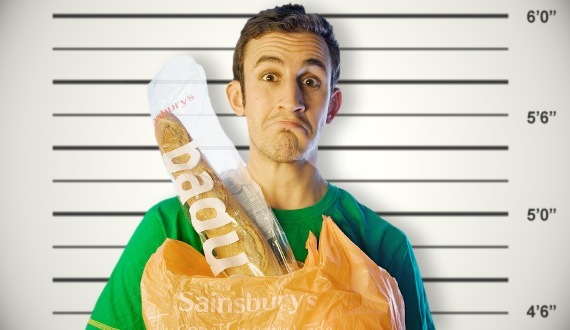 Do you suffer supermarket guilt? Yep, that's me to the Prime Minister's left yesterday. I'll blog about the experience in full soon via my new day job SmartPlanet, but the long-and-short is that it was a great experience. 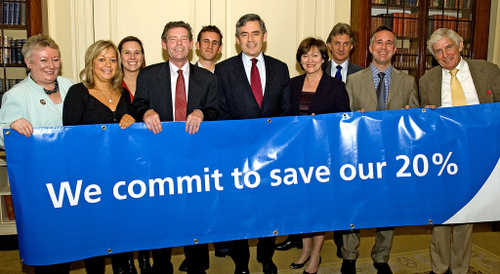 I was there with seven other people -- plus MP Joan Ruddock -- representing energy-saving communities around the UK. In a ridiculously flattering gesture, the Energy Saving Trust invited me to Downing Street to represent online green communities, so if you're a Brit and write a green blog, post in eco forums or joined a green group on Facebook, I owe you a big thank you. Incidentally, today is 'digital day' of Energy Saving Week, so if you're chatting with mates online, spread some of these tips. In the photo, from left to r ight: Joy Greasley (WI) Kai Boschman DSGI (DIXONS),Rachel Bradley B&Q, Philip Selwood CEO Energy Saving Trust, Adam Vaughan environmental journalist,PM,Joan Ruddock,Dr Martin Blake Royal Mail,Andrew Fisk Proctor and Gamble,David Shreeve C of E.
In case you missed starter's orders, Energy Saving Week is underway, and this year's big theme is communities. Which is the most influential - the church? The WI? Local towns? My main green community is online: this blog, other blogs, on forums, Facebook, on my Delicious links and elsewhere. Here's a big list of links to green communities I like, after the click-through. Check it out. It's a big improvement on navigation and design. On My quest for an ethical wedding suit: Mission Impossible?